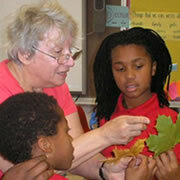 Roberta Goren began working as RESET’s Volunteer Coordinator in the summer of 2002. A retired Microbiologist, Ms. Goren is a former supervisor of the Microbiology Laboratory at DC General Hospital. As the critical liaison between teachers and volunteers, Ms. Goren is responsible for assigning volunteers to their classrooms, making arrangements for field trips, and managing many of the administrative responsibilities of the organization. Ms. Goren also serves as a volunteer for RESET at least two programs per year. For more than 21 years, Shaheen Khurana worked on the design and implementation of mobile systems, GPS and disaster emergency telecommunications, including at CSRA Inc. in Arlington, Virginia, and at Sprint Nextel Corporation in Reston, Virginia. She now works with a number of local nonprofits and grassroots organizations focused on STEM/Computer Science outreach to underserved communities and girl scouts, promoting legislative actions for achieving menstrual equity in VA, campaigning to elect women candidates to public office and empowering victims of domestic abuse at the Women’s Center serving the metropolitan DC area. She holds bachelor’s degrees in mathematics and computer engineering from the University of Bombay, India, and a master’s degree in computer science from the University of Texas in Dallas. Ms. Khurana began working for RESET in 2017. She recruits and trains volunteers, develops school partnerships, provides social media content, compiles annual program data, and expands RESET’s role in providing hands-on programs for students in emerging fields, especially Computer Science. She also develops curriculum content to help volunteers design and improve classroom programs. Professor Sherri Kohr has worked with RESET since fall 2013. An adjunct professor at George Mason University, Ms. Kohr teaches future elementary school teachers how to present hands-on science in the classroom. As RESET’s Volunteer Education Skills Developer, Ms. Kohr provides training to RESET volunteers, observing them in the classroom and providing feedback and mentoring. She also participates in several RESET training seminars a year. Ms. Kohr has worked in the education field for 30 years. She also serves as the STEM Coordinator at a private school in Fairfax County where she develops STEM curriculum for Grades K–8 and plans a yearly STEM project for the entire school. In addition, she works with Fairfax county homeless youth at area shelters assisting them with homework and school related issues. RESET’s 9-person Board comprises current teachers, former educators, active volunteers, and business professionals. Board members oversee staff and programs, review financial reports and tax filings before they are submitted, and establish partnerships with organizations that support RESET’s mission. In addition, the Board initiates and approves policy changes, the annual budget, hiring decisions and salary changes. A Board subcommittee developed the instruments used for assessment/evaluation. The Board also developed and approved a five-year operating plan. The Board, which meets monthly, approves risk management measures, including RESET’s liability insurance coverage limits and policy. David Adler retired from Fannie Mae in 2008. During his 24 years there, he worked as system and financial analyst, building simulation models, pricing mortgage products, and developing financial databases. Before joining Fannie Mae he was a consultant in the areas of regional economics and occupational health and safety. For the last five years, he has been the treasurer of his synagogue. David has Ph.D and MSIA degrees from Carnegie-Mellon University and has taught Physics. Claudia Austin has been teaching first grade for four years. She received her B.A. degree in Early Childhood Education from Towson University in 2010, and a M.Ed. in Teacher Leadership: Special Studies in STEM Education from the University of Maryland in 2016. Ms. Austin was born in Brazil and she utilizes her Brazilian heritage to connect and inspire diverse students to pursue their dreams. Ms. Austin strongly believes that STEM education should be offered to ALL students regardless of their race, ethnicity, or socioeconomic status. Susan Hesser is a partner in the HRP Investment Group and a Commercial Real Estate agent. She has a BA from the University of Kansas and an Executive MBA in Management from Pepperdine. During Ms. Hesser’s corporate career she worked in IT development and management for Exxon, AIG (American General), Andersen Consulting (Accenture) and Verizon and was involved in leading edge development including the first real time online agent system for the insurance industry. She now sells commercial real estate and is part of an Investment start-up company. She is a member of AAUW and has been involved in many charities. John Meagher served as RESET’s Executive Director from 2007–2019. Mr. Meagher worked at the U.S. Environmental Protection Agency for 32 years and served as Director of its Wetlands Division from its inception in 1990 until 2005. Mr. Meagher is a former member of the Federal Senior Executive Service, the topmost cadre of federal agency executives. At EPA he supervised a staff of 35 and managed a nationwide program with a budget of $35 million a year. Mr. Meagher started volunteering at RESET in early 2007 and later that year accepted the position of Executive Director. Mr. Meagher has presented hands-on science curricula to elementary school classes in Washington, DC, Annapolis, Maryland, and Arlington, Virginia. He holds a B.S. in civil engineering and an M.A. in environmental engineering, both from Manhattan College, New York. Mr. Mendelson, RESET’s Board Chair, is an international capital market consultant with 32 years of experience at the U.S. Securities and Exchange Commission (SEC) in litigation and enforcement of the securities laws and in the regulation of investment companies and investment advisors. Internationally, over the past 20 years, Mr. Mendelson has played instrumental roles in formulating and implementing strategies for capital market development in emerging markets under a variety of World Bank, USAID and Asian Development Bank projects, with an emphasis on accounting oversight, legislative drafting, and training securities market regulatory bodies. Adeoye Owolewa currently practices in Washington, DC and Virginia as a licensed pharmacist. Mr. Owolewa enjoys his role as an intermediary between physicians and the community. He credits early exposure to STEM careers in middle school to leading him to become interested in pharmacy. He joined RESET in 2014 to have that same impact on young students. Mr. Owolewa currently volunteers with second grade students at Ross Elementary school in Northwest Washington, DC. In addition to volunteering at Ross, he is an active contributor to RESET’s Facebook page. Mr. Owolewa received his Doctorate of Pharmacy from Northeastern University in 2014. Marya Sabir is a Post-Baccalaureate Intramural Research Training Award Fellow at the National Institutes of Health, where she employs modern, high-throughput omic technologies and advancements in computational resources to progress our knowledge of disease-causing aberrations in neurodegenerative diseases. Ms. Sabir has served in numerous leadership roles, including as the co-chair for the Greater Bethesda American Medical Student Association. She also has extensive experience with serving underserved communities (e.g., as an AmeriCorps VISTA member). Ms. Sabir holds a Bachelor’s degree in Biochemistry from Arizona State University, Barrett, the Honors College. Oscar Wiygul has volunteered for RESET for three years. He is a Senior Nuclear Reactor Operator at the National Institute for Standards and Technology Center for Neutron Research. His degree is in Nuclear Engineering Technology and he served in the Navy as a Nuclear Machinist Mate.